(CBS/AP) PHILADELPHIA - An unlicensed doctor fled out the back of an unorthodox medical clinic the night the FBI raided the facility in 2010, a witness testified Thursday at a murder trial centered on the location. 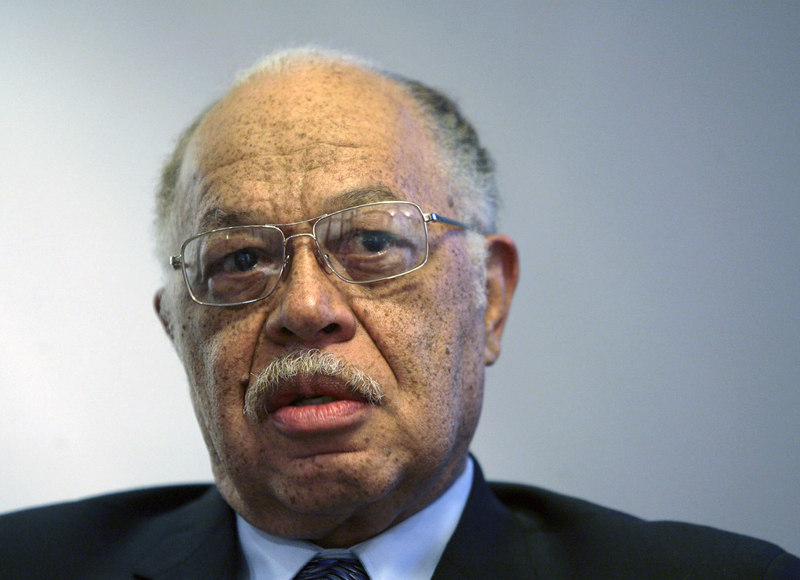 Abortion provider Kermit Gosnell, 72, is charged with killing a 41-year-old female patient and seven babies allegedly born alive, and with performing illegal, late-term abortions at his thriving inner-city clinic. Co-defendant Eileen O'Neill, 56, of Phoenixville, is charged with billing as a doctor and participating in a corrupt organization. Eight former employees have pleaded guilty, some to third-degree murder, and have testified this month about bizarre, often-chaotic practices at the clinic. Ashley Baldwin testified Thursday of starting there at age 15 through a high school training program, and soon assisting with abortions and administering intravenous drugs. Baldwin, now 22, said she worked nearly 50-hour weeks, often well past midnight, when abortions were routinely performed. At least twice, she saw aborted babies move after the procedure, only to have Gosnell explain that it was an involuntary response. In one case, she said, "the chest was moving." Baldwin, now 22, was one of the few clinic workers not charged after the FBI raid. Her mother, Tina Baldwin, had started at the clinic in 2002, referred by a business school where she had studied to be a medical assistant. She mostly worked at the front desk, where her duties included giving patients medicine to start their contractions. She described co-defendant O'Neill as a caring doctor who saw mostly older patients for high blood pressure or diabetes. O'Neill kept her office neat, in contrast to the rest of the clinic, Tina Baldwin said. So that's where Gosnell steered wealthy or white patients, she said. Gosnell also met with them and administered their medications himself, she said. "Nine out of 10 times, if the patient was white ... he didn't want me to (administer the drugs), because he wanted to meet with them himself," she said. Gosnell, who is black, would apologize to his mostly black staff, but say "that's the way it is," Tina Baldwin testified. Gosnell performed as many as 1,000 abortions a year, charging from several hundred dollars for an early abortion to several thousand for a three-day, late-term procedure. Prosecutors contend that he made millions over the years, especially since he relied on untrained, low-paid staff. Baldwin faces prison time after pleading guilty to corruption of a minor, taking part in a corrupt organization and other charges. She admits administering some of the medication to the patient who died of an overdose. Yet she cooperated early on and wasn't charged with murder, unlike other clinic workers who gave Karnamaya Mongar the medications in 2009. The FBI raided the clinic in February 2010 to investigate Gosnell's distribution of painkillers. Tina Baldwin was at home that evening, although her daughter was at the clinic. O'Neill called to say she had slipped out the back door, leaving behind her purse and coat, because she was worried about not having a license, Tina Baldwin testified. She said O'Neill had routinely written prescriptions on a pad pre-signed by Gosnell, even when Gosnell was not working to authorize it. On cross-examination, as the defense tried to suggest otherwise, she acknowledged Gosnell often stopped at the clinic on days off to feed his fish or turtles. She also said that O'Neill was trying to win back her medical license, but Gosnell was stalling on his promise to help her. A prosecutor asked if O'Neill nonetheless kept working there. "We all kept working there," Baldwin replied sadly.